We proudly welcome into our range of glass furniture this stunning glass side table. 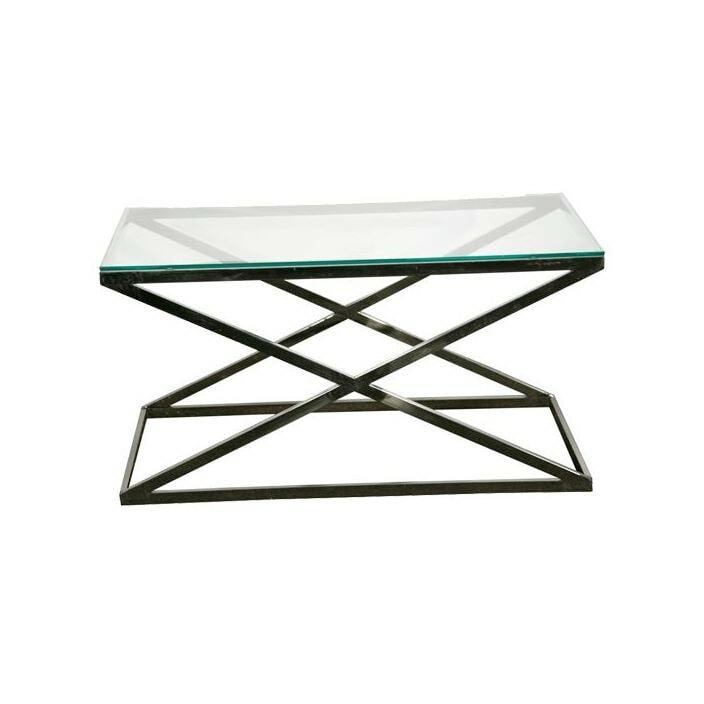 With it's sturdy cross leg design and beautiful glass top, you are guaranteed a truly wonderful item, adding style and aesthetics in your home. Handcrafted by experts, this bedside is sure to impress, working exceptional in a variety of settings.